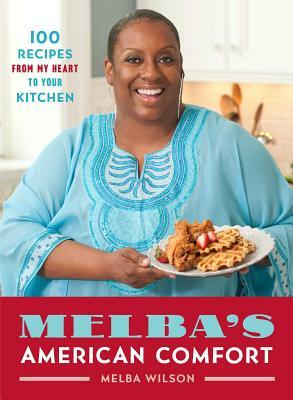 Fresh from the kitchen of her legendary Harlem restaurant, Melba's, the reigning queen of American comfort food serves up one hundred delectable recipes that put her own special touch on favorite dishes--and taste just like home. Where do celebrities and foodies go for the most delicious fried chicken and eggnog waffles? To Melba's, of course Melba Wilson is a sweet, upbeat, occasionally sassy, always genuine ambassador for the cuisine known for years as soul food but that she prefers to call American comfort food. Melba cut her culinary teeth at the iconic Sylvia's, the famed Windows on the World, and the hugely popular Rosa Mexicano. Now, as the pioneering owner of her own legendary Harlem restaurant, she proudly holds court in Melba's always-packed dining room, dishing out lovingly prepared sweet potato pie, wine-braised short ribs, BBQ turkey meatloaf, deviled eggs, and a legion of mouth-watering American classics as well as unforgettable special twists on beloved comfort foods. Now you don't have to leave the comfort of your own home to dig into her sumptuous signature recipes With mouthwatering full-color photography and a beautiful design, Melba's American Comfort features the secrets of her irresistible home cooking, passed down from her great-grandmother and other talented generations and given her own loving variations, plus a treasure trove of delightful stories from the heart of her bustling kitchen.